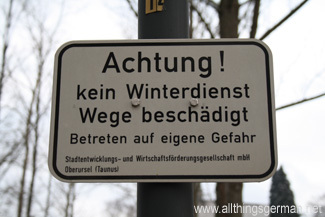 Residents in Germany are responsible for clearing the snow on the paths around their properties. Not only do they have to clear them first thing in the morning, they have to keep them clear throughout the day. Many people hire companies to do this for them, rather than risk an insurance claim if someone slips on the path and injures themself. Similarly, if the gound adjoining the path belongs to the town, eg. 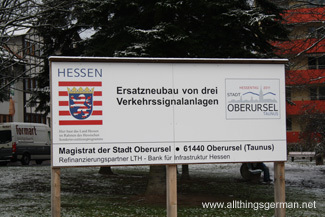 if there is a school on it, then it is the town who is responsible for clearing the snow. 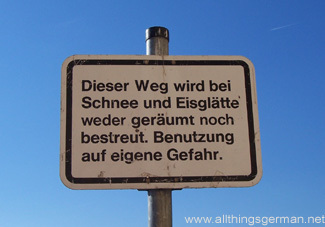 Betreten auf eigene Gefahr – use this path at your own risk!